With Your How to Make a Website Coach... You'll Be Making a Website That Works in No Time! Want to make your own website but don't know how? 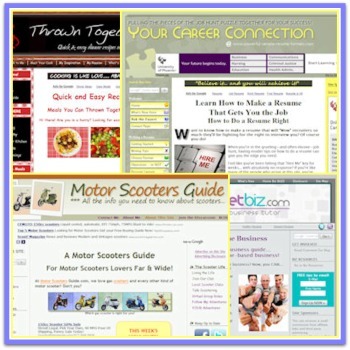 Your how to make a website coach is here to help you with making a website that works! But the truth is, the great majority of us non-techie trained people just don't even know where to start. There are so many factors to consider and so many stumbling blocks along the way, many of us never even get out of the gate. But I'm here to tell you... it CAN be done... and it doesn't have to be a hair-pulling experience either! But I'm not going to lie and tell you it's easy either... or fast. Chances are, if you want to make your own website, it's because you want to make money or it's in support of a cause in which you believe. So... basically... it requires a business-like approach. And, as any successful business person knows... it take hard work and a certain amount of time to succeed in business. You've got to have all three if you hope to succeed in learning how to make a website that actually works for you. My website building platform of choice is something called Site Build It, which is a product of the Sitesell company out of Quebec, Canada. I've been building my own websites with Site Build It for 10 years now and it just keeps getting better and better. In fact, I'm such a fan of the program that I became a certified consultant for them a few years ago (called an "SBI certified webmaster") so I could help others learn how to make your own website. I no longer do one-on-one consulting because I don't really have the time or the desire (I'd rather work on my own websites! ), but through this Make-Your-Own-Website-Coach.com site, I can continue to offer similar coaching and support to people like you who want to make your own websites. You can read more about me on the About page of my site, but suffice it to say, I have no technical training or background. I went to college for nursing and worked in healthcare for many years. But I always dreamed of having my own business and I fell in love with computers and the Web many years ago. So, putting those two interests together... I learned through hard work, dogged determination and lots of mistakes how to make a website that actually earns traffic and makes me money. In fact, I now have 10 websites that do just that... each and every day. It's how I make my living... and I LOVE it. Once upon a time, I had a website called SBI-Website-Builder.com. 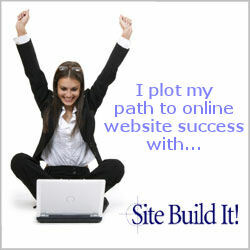 I built it to promote my Site Build It consulting service and it generated quite a few client projects for me. But as time went on, I came to realize I enjoyed spending time on my own website building efforts a lot more than I did on other people's websites. Also, Site Build It took their consulting services "in house" and no longer fed me clients through their website. As a result, SBI-Website-Builder.com became outdated and redundant. But I still wanted to find a way that I could help Site Build It users succeed, without having to pour so much of my own time and energy into every project or interaction with other webmasters. And that's how this site came to be! 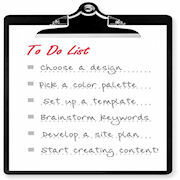 So that's what I offer you... plan and simple instructions to help you make your own website too! In the pages of this website, you'll find tons of tutorials that will boil down how to do different tasks that are involved in making a website. My tutorials are aimed at people like me who own and use Site Build It to make your own websites, but many of the tutorials will be useful even to people not using SBI to create a website. Although the website building program I strongly recommend, Site Build It, is all about building a successful online e-business, that's not what this site is about. I have another website, HomeSweetBiz.com, that covers that topic in depth. This site is simply a step-by-step guide to aspects of web design, use of graphics and images and how to build your content on your website... in short how to build a great website that will support your dream of a money-making online business! ALSO... My goal on this site is to teach you how to do stuff with free or inexpensive tools, so I won't be providing tutorials on how to do stuff in Adobe Photoshop or Dreamweaver. I don't own those programs; never felt the need, as I get what I want either for free or for a lot less than those super pricey programs! You can use the navigation in the left column to find what you are looking for here on this site... or you can also use the thumbnails at the bottom of the page, which are a sort of table of contents. Each thumbnail below will take you to a subsection of the site, where you'll find an overview and some general tips on that subject. You'll also find a list of specific tutorials on that subject that you can choose to view, according to your needs. By the way... I am in the process of re-building this site, as mentioned above. So, each of the thumbnails below will go live, as I have time to build the pages they're associated with. So keep checking back if something you wanted wasn't here yet, OK? If you get stuck, come back here & use our tutorials!